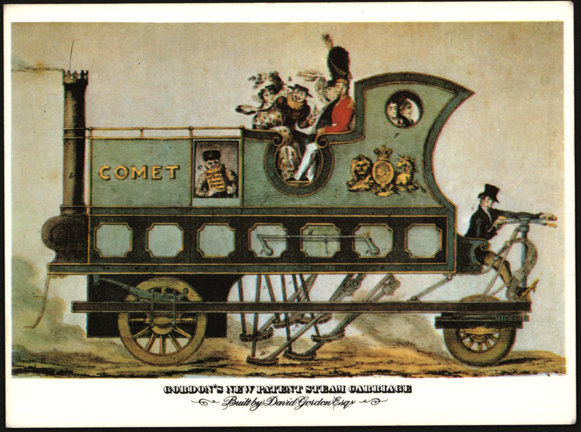 David Gordon built a steam carriage called "The Comet" in 1824. It featured three wheels and six legs that were used to propell the carriage.. 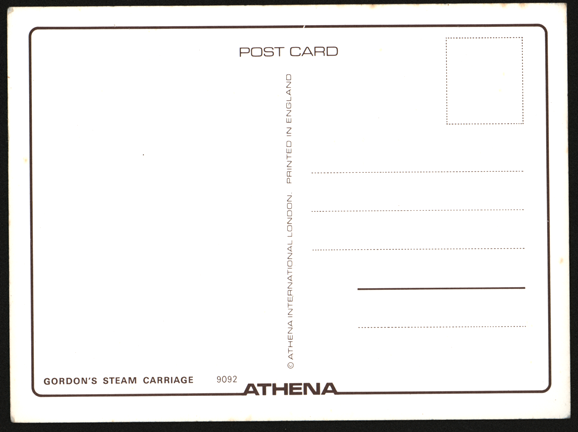 This modern postcard reproduces a 19th century print of David Gordon's steam carriage. "The Comet" featured three wheels and six legs to propell the carriage. Contact us if you have additional information about the David Gordon Steam Carriage "The Comet," or if you have questions.